The first edition of the South American Championship of Nations (known as Copa América since 1975) was held in Buenos Aires, Argentina from July 2 to July 17, 1916. It was held during Argentina's independence centenary commemorations. There was no qualifying for the tournament. The participating countries were Argentina, Brazil, Chile and Uruguay. All teams competed between each other in a single group. The one at the best position after the matches was the champion. Two points were awarded for a win, one for a draw, and zero for a defeat. 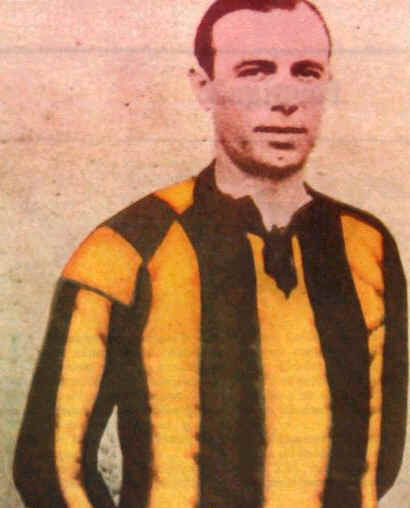 (1) Something unusual happened because of this game: next day, the Chilean delegate claimed the points lost by improper inclusion of two "African" professionals: Isabelino Gradin (picture) and Juan Delgado, the claim was unsuccessful because the two players were actually black race but Uruguayan by birth. tournament. The match between Argentina and Uruguay played on July 16th had to be abandoned at 0-0 after only 5', due to riot within the spectators. The people invaded the field and the clash finished with the wooden tribunes on fire. The match couldn't be reschedule in the Estadio G.E.B.A., and hence the Estadio Racing Club (Colón y Alsina) was selected for the replay. The partial result of the match in Estadio G.E.B.A. was declared null and overtaken by the one in Avellaneda.